Newquay Nightlife has been online since 2004 and is well established as a top information destination for visitors to Newquay. Our website aims to provide the very best information for visitors to Newquay. For this reason your business will always be represented on our site for free. Although we list information about local businesses at no cost, we offer several options to partner more deeply with us and to take advantage of our marketing experience. Enhance your page on our site with a phone number and a direct enquiry form. When we accept lead generation partners we also apply our best marketing know-how to ensure that your page converts as well as possible. We continually split test variations and continually improve your presence on our site. We also engage your page in several highly targeted marketing campaigns around the web to actively drive eyeballs to your business. We’ve been doing this for years and we know exactly how to generate genuine interest for your business. We treat all our partners as friends and will always be looking out for your best interests to ensure a long and fruitful relationship for all involved. Please note that to ensure our integrity as a business marketing service we will only accept partners that we think our methods will generate sufficient leads for. 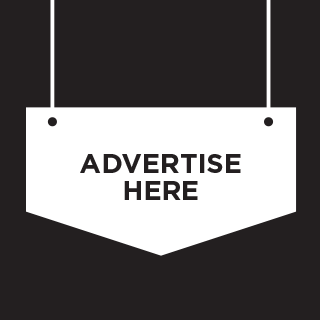 We offer advertising and sponsorship options for the various sections of our site. Prices vary depending on the section and will vary according to the traffic of the site at the time of purchase. Payment is via monthly subscription and your monthly price will be grandfathered in for as long as you keep your subscription active. Please contact us for details. We will happily list your free community events on our site at no cost. If you have a commercial ticketed event, we can offer an enhanced event listing for a small charge. The listing will then be featured on our homepage and in our sitewide sidebar. The cost is currently £20 per event.